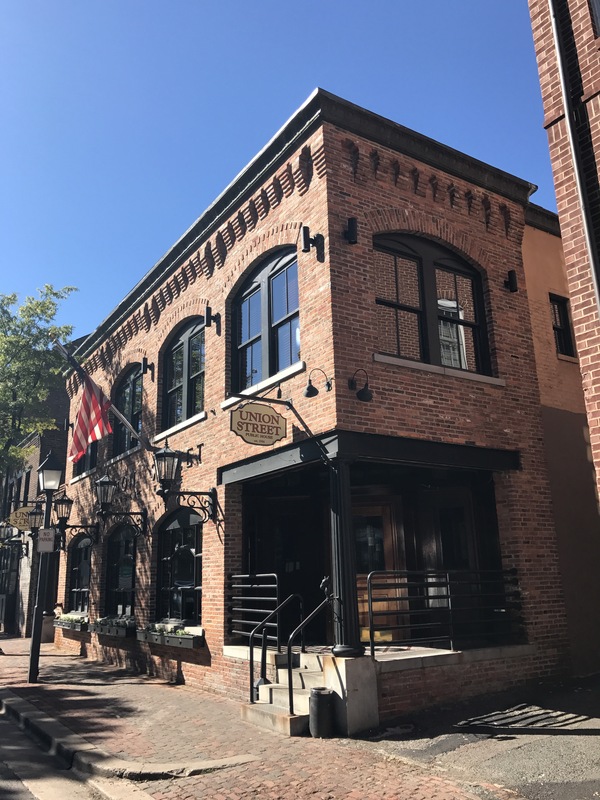 Union Street Public House (USPH), at 121 S. Union Street in Old Town, Alexandria will be holding their 30th Anniversary Party on Saturday, November 12, 2016. A full day of celebration commences from opening until closing on Saturday. USPH opens at 10:00 for brunch and the bar closes at 2:00 a.m.. Admission to the event is free. A couple of my favorites on the USPH menu is the Crab Cake Sandwich and the Happy Hour Lamb Chops. You can’t go wrong with the food at USPH especially since Chef Bruce Nickel has been at the helm. Live music by the Bahamas will take place in the Grille Room starting at 9:00 p.m..
Stop in Saturday and help USPH celebrate their 30 years, grab a drink or two, try some great food dishes, catch a little music, and dance the night away. Choose from small plates to share like Scallops Rockefeller and Steamed Mussels. Oysters are shucked fresh and served raw on the half shell by the half dozen or dozen. Or try Wally’s Oysters and Bacon, baked in the shell with chive butter, for a scrumptious treat. Taproom favorites include Maryland Crabcakes, Fish and Chips, and Gumbo. Steaks, seafood, and fresh fish like Blackened Red Snapper are served from local farms and coastal waters. Union Street also features the best of the area’s local and hand-crafted brews along with an extensive wine list. Growlers of beer and bottles of wine are available for carry-out.